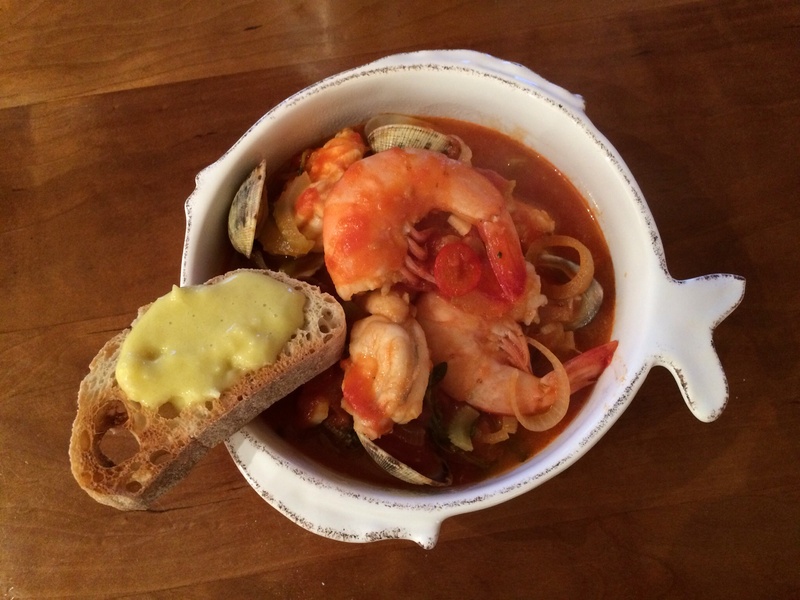 A quick fish stew made with a mix of fish. 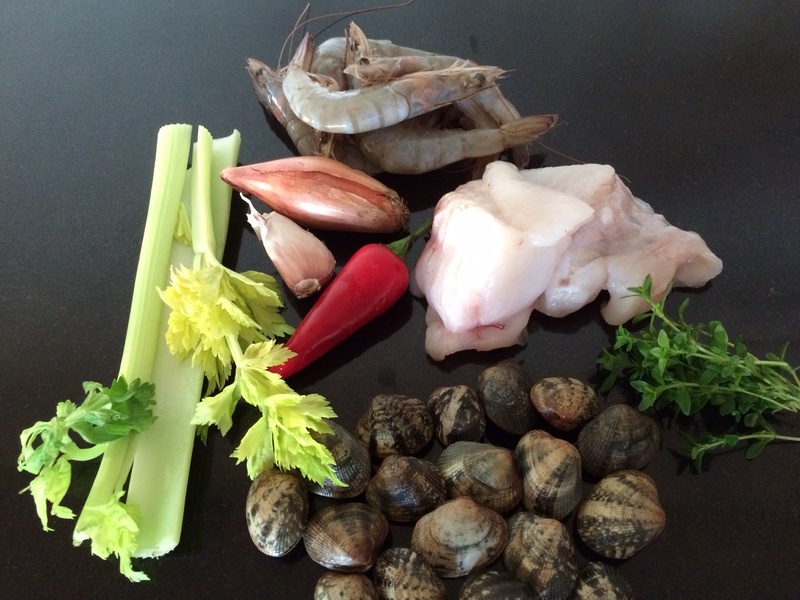 I’m using monkfish, prawns and clams today, but choose the fish you like. I’ve told my fish monger this is for 2 people, so I’ve got about 20 clams, 6 prawns, and a piece of monkfish. A simple aioli adds to the Mediterranean flavour! 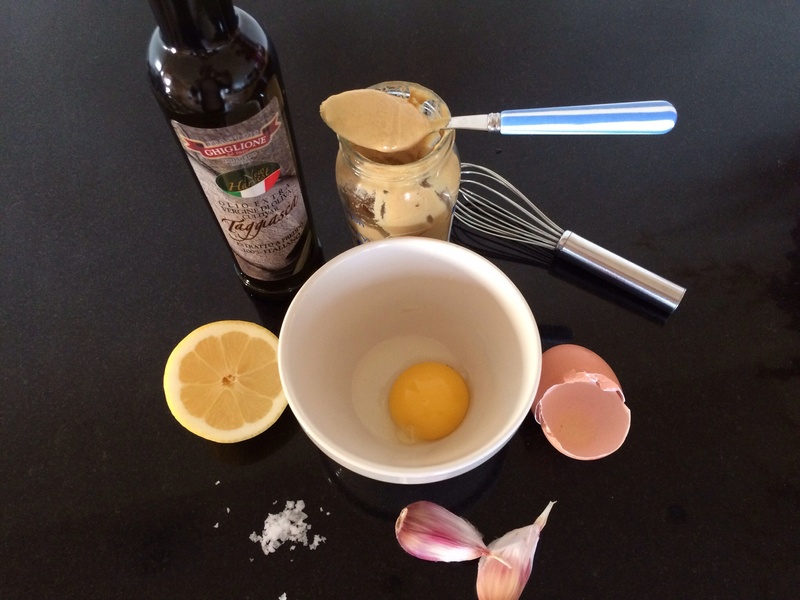 I’m going to make a quick aioli out of crushed garlic (2 cloves), an egg yolk, 5 tbs olive oil, salt and a tsp of mustard, a good squeeze of lemon. Whisk everything together. But if you don’t have time for that then mix some mayonnaise with chopped up garlic and a little mustard. Drizzle some olive oil to your pan, finely chop the 2 small stalks of celery, a shallot, a clove of garlic, half a red chilli and sweat for a few minutes. Add a tin of tomatoes. Refill the tin with water, add a fish stock cube some salt and pepper a few sprigs of thyme and add to the pan. Bubble gently for 10 minutes. Then add the fish. I’ve taken the prawn heads off but left them in the shell. If you prefer remove the shells. Rinse the clams. Cut the monkfish into chunks. 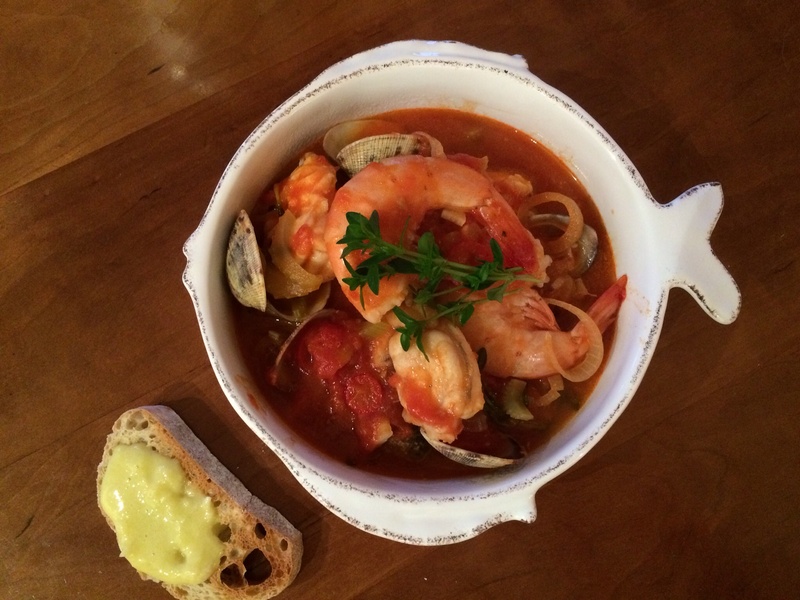 Allow the fishes to simmer in the tomato sauce for 5 minutes til the prawns are pink and the clams are open. Toast a few pieces of ciabatta. Serve with the aioli. Enjoy with a glass of Sancerre.